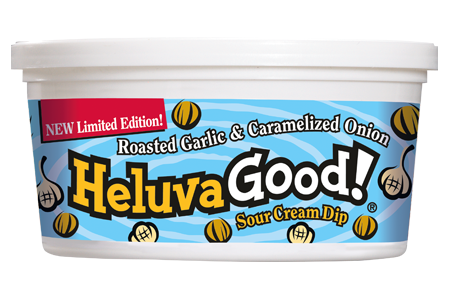 Limited Edition Roasted Garlic & Caramelized Onion Dip from Heluva Good! One of my most favorite guilty snack foods is chips and dip. Plain, salty chips and creamy dip are the perfect combo for great snack. So when Heluva Good! contacted me to see if I would be interested in checking out their limited edition Roasted Garlic and Caramelized Onion Dip, I quickly said yes! Despite eating a more low fat diet, I just had to try it with chips. And this dip is good! Heluva Good!® brand Sour Cream Dips, Cheese and Condiments have held a reputation for quality and taste for more than 85 years. The Heluva Good! name has been as much a promise as a brand name and dates back to 1925, when Perry Messinger, Heluva Good!’s founder, began making wedges of homemade washed curd cheese in a basement in Sodus, NY. Messinger sold a little, but mostly did it as a hobby. Then one day a traveling salesman stopped in and sampled a wedge. Upon tasting it, he declared, “That’s a hell of a good cheese.” At that moment, Messinger knew he had something very special. Today, Heluva Good! is part of the HP Hood LLC family of brands. You can now find Heluva Good! products in dairy cases throughout the Northeast, Southeast and Midwest (to the Rockies) and all of Canada. Roasted Garlic and Caramelized Onion is the newest dip from Heluva Good! It uses only the freshest ingredients and spices and never any oils or water. Roasted Garlic & Caramelized Onion Dip combines the rich, sweet flavors of roasted garlic and caramelized onion, blended with the creamy taste of sour cream to create a big, bold taste that pairs well with any pretzel, crudité or pita chip. Roasted Garlic & Caramelized Onion Dip is available in a 12-ounce container and can be found in the dairy case at major grocers and retailers. Besides just trying it with chips, I knew everyone in the house would love the dip. So we paired it with a relish tray with fresh veggies and olives. It was the perfect mid afternoon snack. 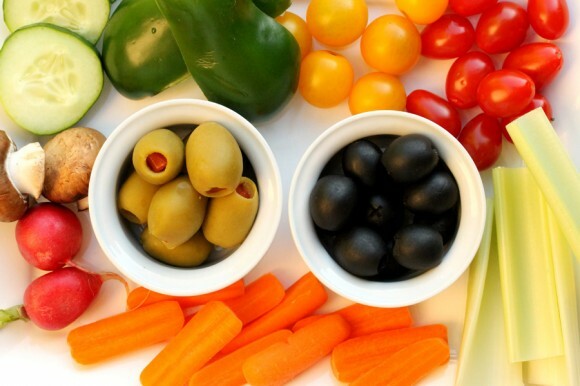 I love that besides tasting so great, this dip is made with fresh ingredients and no oil or water. This ensures that you are getting a great dip without any extras that you don’t want. One bite of the Roasted Garlic and Caramelized Onion Dip and you realize just how the company got their name. 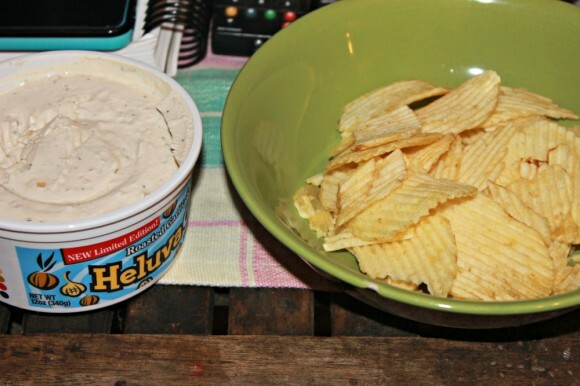 This dip really is Heluva Good!